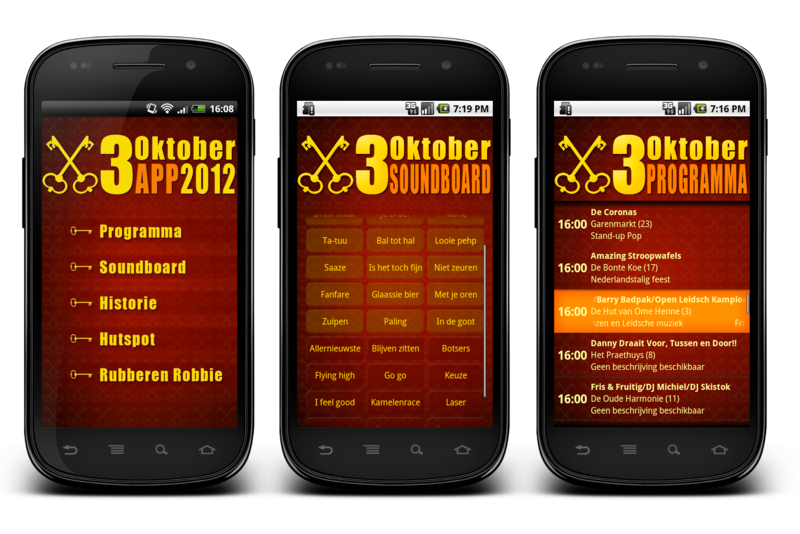 Together with Mathijs Buijs and Cas Dekkers we made an Android app for Leidens Ontzet 2012. It was a very last-minute plan; we only had a week or so to make the entire app. You can download the app here. The app was downloaded over 1300 times in three days and we were interviewed by Sleutelstad FM! There will be a new version next year, then probably also for iPhone.